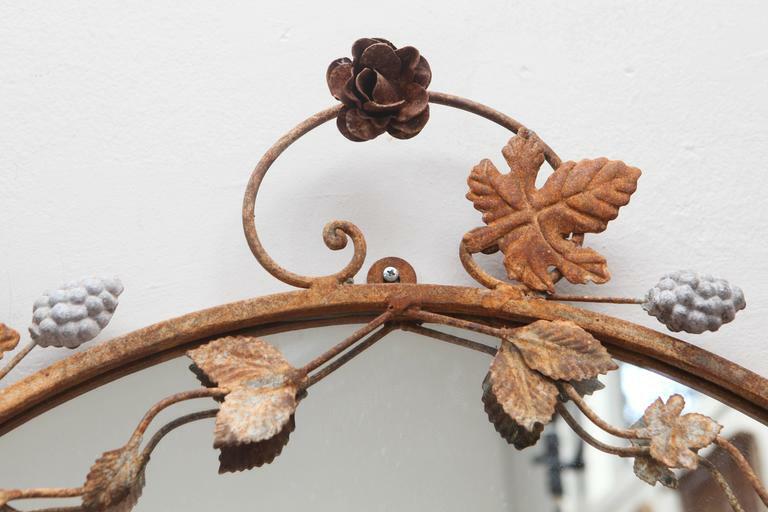 This Flower and Leaves Rusted Metal Mirror is no longer available. 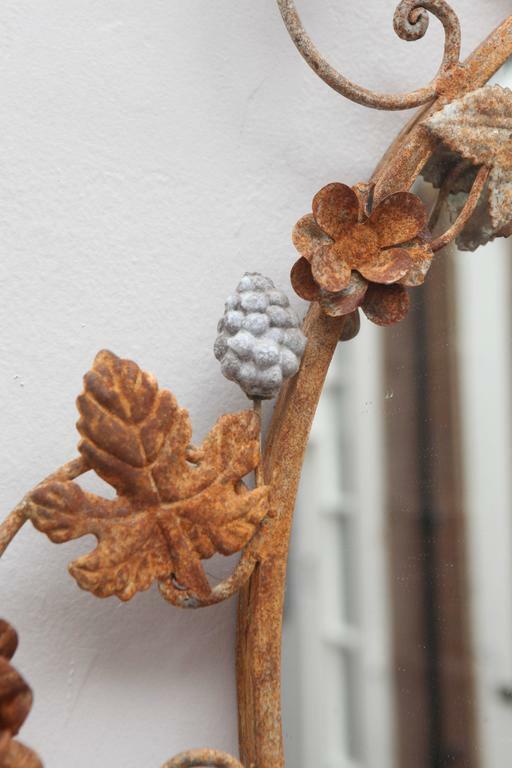 Vintage rusted mirror. 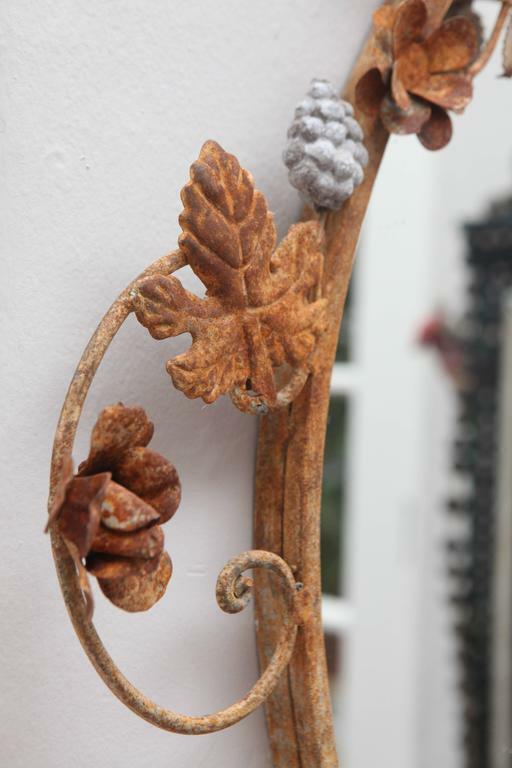 Hand wrought iron. Probably not terribly old but great look. Round mirror inset is new. 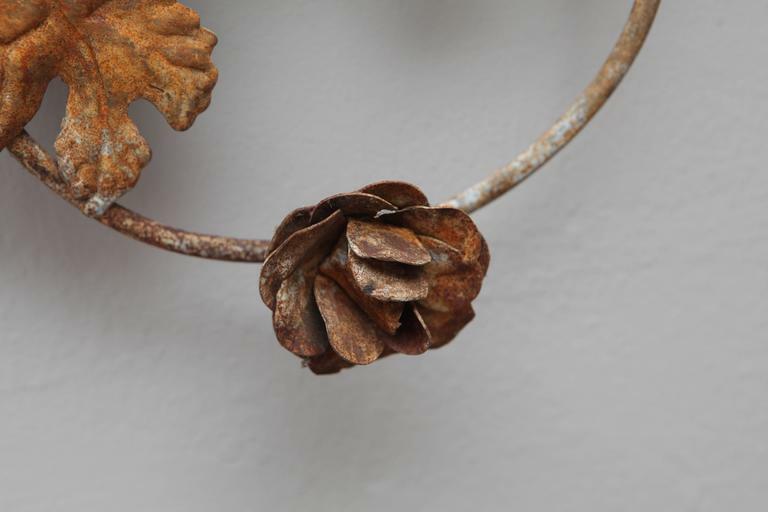 Some remnants of white paint and quite rusted. 19th century Ecclesiastical cupboard doors on original mirror backs. 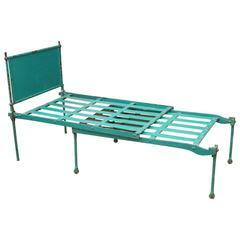 Distressed turquoise painted English metal chair, chaise or bed. Brass manufacturer's plate shown in image 10. Barton & Sons, Ltd. 1935 Birmingham. Disassembles to lie completely flat. 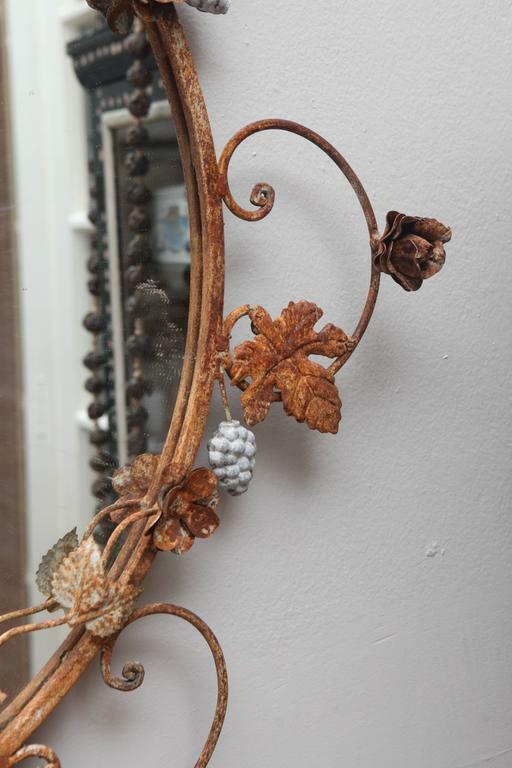 Original mirror in teak frame. Marked Made in Sweden on back. 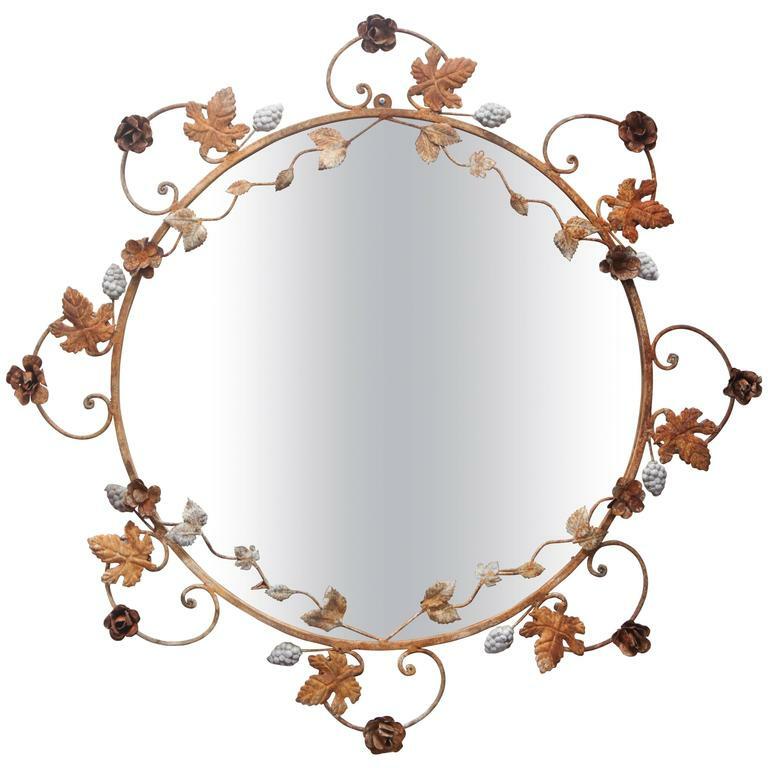 The Renaissance-style wood carved and gilt frame has a molded design with flourishes of leaves and scrolls. Can be used for painting or a mirror. 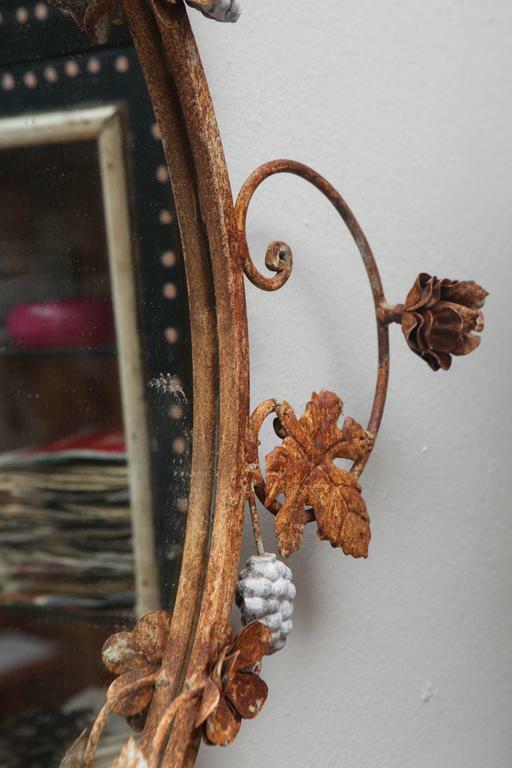 1970s France blush and mirrored glass two-tone mirror frame. 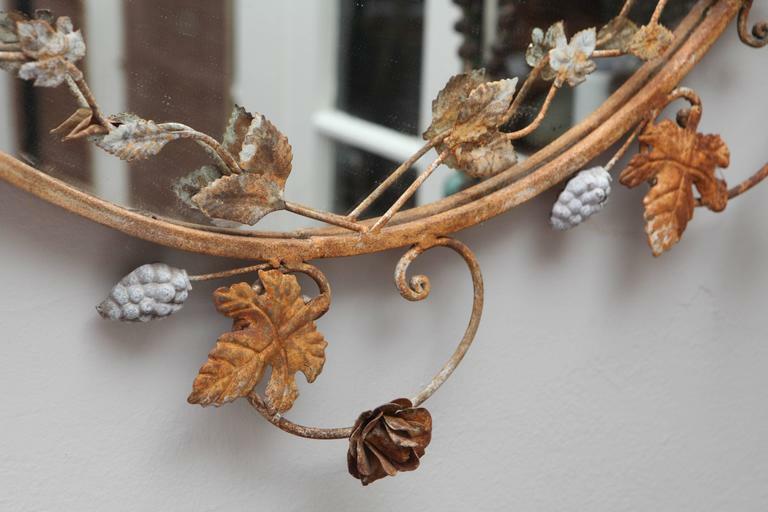 This is an Italian baroque gilt and carved wooden frame, charming and pure.